AIREA (AIEA) appeared on my radar following a recent (and now terminated) bid approach from James Halstead (JHD). I have admired JHD for years, as this £860m vinyl flooring specialist meets just about every criteria set out in How I Invest. AIEA in contrast has not performed so well. During the last ten years for example, this small flooring firm has witnessed revenue shrivel from £49m to approximately £24m while operating profit — before various exceptional items — has mostly bobbed around the £1m mark. Attracting the attention of JHD (I presume) was AIEA’s decision the other month to close its problem carpet division. 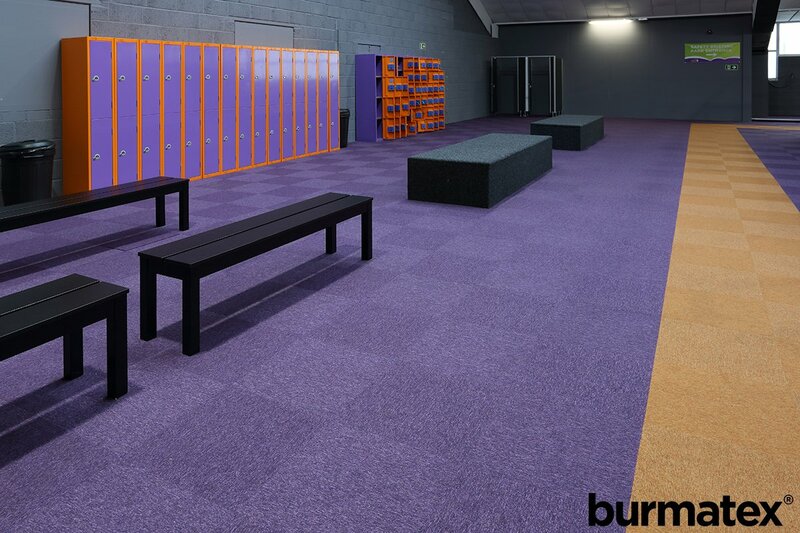 The disposal leaves the group owning a “highly profitable commercial flooring business operated under the Burmatex brand”. During the 18 months to December 2017, the remaining Burmatax division generated an underlying £4.3m operating profit from sales of £27m. 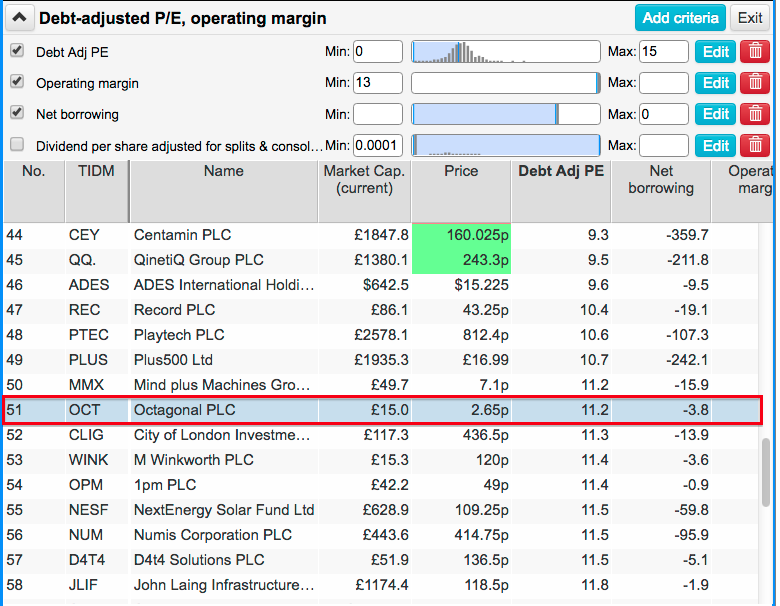 The 16% margin suggests Burmatex is not a bad business, and pro-rata earnings of perhaps £2.3m compare well to AIEA’s £25m market cap. The balance sheet also carries cash of £3.7m, no debt and an investment property worth £3.2m. As such, the underlying business arguably trades on an 8x multiple. Recent AGM scuttlebutt on Stockopedia was positive, as the executives now focus on expanding Burmatex. Well, Burmatex has demonstrated its 16% margin for only 18 months — there is no evidence of the division being a great performer beforehand. I always compare the benefits a scheme is paying to the value of its assets. On a twelve-month basis, benefits of £3.3m have to be delivered from assets of almost £52m — in other words, an annual 6.4% return is required to ensure the scheme’s capital is not eroded. My own study of pension schemes tells me that 6.4% is really at the top end of the ‘required returns’. The larger FTSE 100 firms tend to require 2% returns given their contributions, and other companies generally require less than 4%. From this initial review, I get the impression AIEA’s scheme requires greater contributions — which, incidentally, currently run at £400k a year and are not charged to headline profits. Management is another possible drawback. The present chief exec was appointed back in 2008 and has essentially taken ten long years to reshape the group into a more respectable operation. I would hope future progress is not as slow. All told, I guess the main attraction here is the apparent lowly valuation. However, there is no real evidence (at least to date) that Burmatex or the chief exec can become long-term winners. JHD’s management spent up to seven weeks looking at AIEA — and had the financial resources, long-term perspective and cost-cutting abilities to justify a rich take-out price. And yet JHD’s executives still walked away. So I am left wondering whether AIEA can be good enough for me when the shares were not good enough for the proven sector experts. OCT provides a range of stockbroking settlement and custody services to institutional investors, family offices and high net worth clients. The business was formed during 2002 and joined the market through a reverse takeover three years ago. OCT’s admission document indicates the business only really got going in 2013, when revenue suddenly jumped by £1m to £1.4m. Since then, progress has been positive, with the 2017 annual results showing revenue up 33% to £5.6m and operating profit up 144% to £1.9m. A trading statement in April then said the forthcoming 2018 figures for the main subsidiary would show sales up 16% and EBITDA up 39%. OCT’s books seem fine to me. The operating margin at the core business tops 40%, the cash position now surpasses £5m and there are no borrowings and no pension complications. April’s announcement also suggested the group’s 71% stake in a fledgling bond platform could be worth £6m. However, this operation appears to be incurring annual start-up costs of £1m. So… OCT’s £16m market cap does look very reasonable given current earnings could be approximately £2m — and that is before considering the cash pile and the bond-platform valuation. OCT’s board has attractions, too — the chief exec is the group’s founder and retains a 53% shareholding. He his not underpaid, though, having collecting fees and “other emoluments” totalling £294k during 2017. Where the OCT story starts to falter is with the management’s other activities. OCT’s lead executives also run Inspirit Energy (INSP). INSP is a developer of ‘micro boilers’ — which sadly have yet to reach commercialisation. A quick check of INSP’s history shows no revenue, persistent operating losses and regular share issues to raise extra cash since its 2013 listing. OCT’s chief exec has regularly supplied INSP with new funds, and OCT has invested at least £50k since gaining a quote. INSP’s market cap is now less than £1m. I have to confess, the board’s involvement with INSP does leave me uneasy. At best it’s a distraction from what really ought to be management’s real focus — continuing the success of OCT.
…which then leads me to this article about OCT’s finance director. 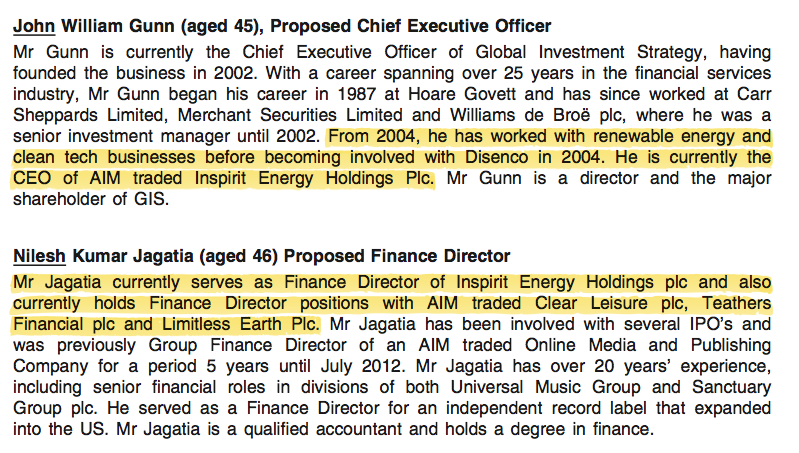 OCT’s admission document does indicate a ‘colourful’ AIM company director having had some connection with the group, and further digging about OCT’s finance director reveals a connection to another ‘colourful’ AIM executive. All told, it seems to me OCT’s board is not unfamiliar with the murkier depths of the junior market… a quality I can’t say I recognise from AIM bosses that really have delivered for outside shareholders. The board set-up is a shame really, as OCT did appear worthy of deeper investigation. But management is all-important at smaller companies and I have my doubts here. 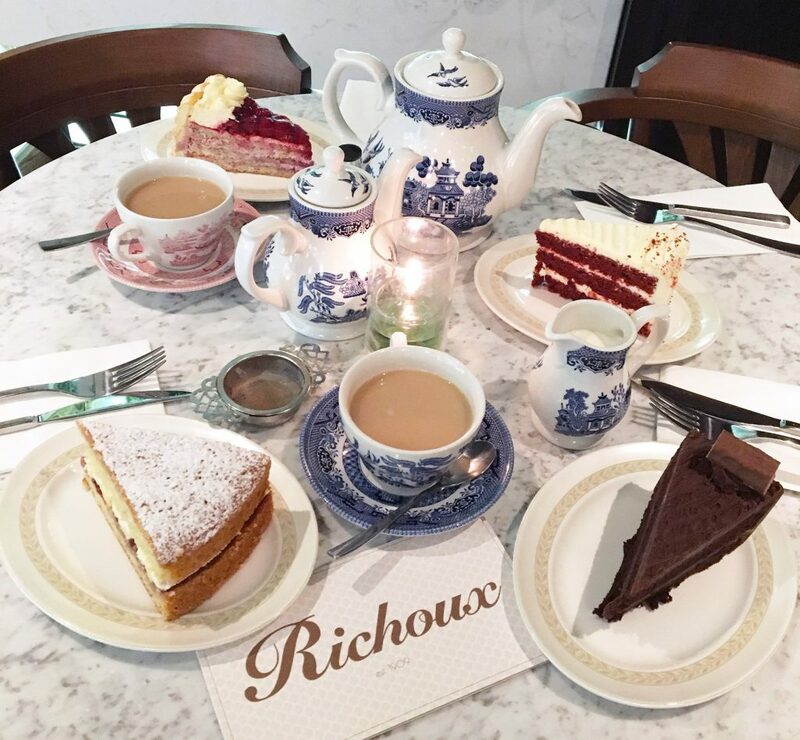 My investment in restaurant group Tasty (TAST) has persuaded me to double-check fellow dining chain Richoux (RIC). I guess the obvious question is why look at RIC when I have already suffered plenty of grief with TAST? “I must confess, Tasty is not my typical investment. RIC also boasts Kaye family management. And it, too, has a bombed-out share price that could one day lead to healthy returns… should a turnaround ever emerge. I have to admit, RIC’s brands are a mixed bag. 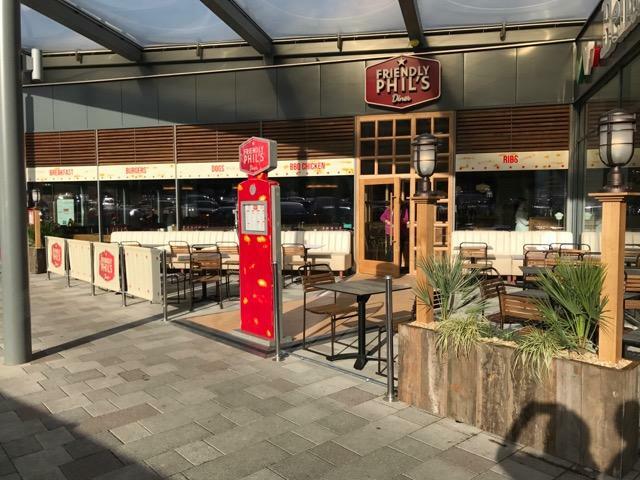 The group operates 17 units, which include a handful of eponymous smart cafes in London, a handful of Friendly Phil’s burger bars and a handful of Villagio Italian restaurants. The quoted history is not great either. It has taken ten years for sales to advance from £6m to £13m, which does seem slow for what was billed originally as a ‘roll-out’ operator. RIC recorded a profit between 2012 and 2015, but has since reported losses following difficult trading, site refurbishments and operational re-jigs. The hope is Mr Kaye can turn RIC’s £12m market cap into something like the £304m he achieved for Prezzo. RIC’s latest (first-half) figures showed net cash of £4m following an equity placing last year. However, the same figures also revealed a sizeable £1m-plus operating loss. I dare say current sector conditions have led to further losses and a shrinking cash position. One interesting feature of Mr Kaye’s appointment is his incentive scheme. He will collect 15 million shares — equivalent to 12% of the current share count — if the share mid-price ever trades at 40p or more for ten days. Mr Kaye will receive a further 8 million shares — or 6% of the current share count — if the mid-price hits 55p. The price to buy now is 10p. Note that the Kaye family — Jonathan, his uncle Philip and his cousins Adam and Sam — already own 29% of RIC. Two non-executives own a further 37%, while a mysterious offshore fund owns another 17%. They all subscribed to the aforementioned equity placing… at 16p. Of course, RIC may not be a Kaye success — I mean, that theory has not really worked out at TAST. But it is difficult to ignore the combination of a proven chief exec and a very depressed share price. RIC’s 2017 results are due any day (EDIT: the results were published 29 May) and I will study them with interest. Plus, I may have to venture out to one of the group’s sites — I live within a few miles of four of them. That is it for now. I hope you found these initial reviews useful. Until next time, I wish you happy and profitable investing. I did not know a General Meeting had to be called in such circumstances. RIC’s H2 seemed better than H1. H1 sales had dived 20%, but H2 sales fell ‘only’ 14% due to temporary site closures and the wider trading climate. Reduced losses were also recorded during H2 within each of the three dining divisions. I should add that H2 comprised of 25 weeks, versus 28 for H1, which suggests trading did improve during H2. Cash was £4.73m at the end of H1, and finished the year at £1.74m. So £3m spent during H2 for site refurbishments and rebrandings, which seems to have prompted the aforementioned tentative call for extra funds. Indeed, a further brand “overhaul” is required. I had thought that the Kaye family’s property interests could help support the family’s restaurant ventures during the current sector strife. I suspect it will pay to await the terms of any cash raising before looking at RIC further. I bought quite a lot of Airea recently, and while I have some doubts like you, I feel with the current very modest valuation there shouldn’t be too much downside in seeing how the Burmatex business develops over the next couple of years. From all accounts the AGM was very positive and the international growth angle sounds exciting. I’m happy taking a bet here given the information we have available to us. If things don’t work out as well as hoped that’s ok; but I feel that waiting for more clarity may come at the cost of a significantly higher entry price. Regarding the bid, we don’t know whether Airea rejected any proposal as being too low, given their current enthusiasm for the revitalised business. JHD are a conservative bunch and so I don’t take the lack of an offer as a negative – in fact if things play out as planned, the medium term upside may be much greater as an independent company. Thanks for the comment. You make some very fair points. It will be fascinating to see how this one pans out. Starters: garlic bread, mozzarella and chicken wings. 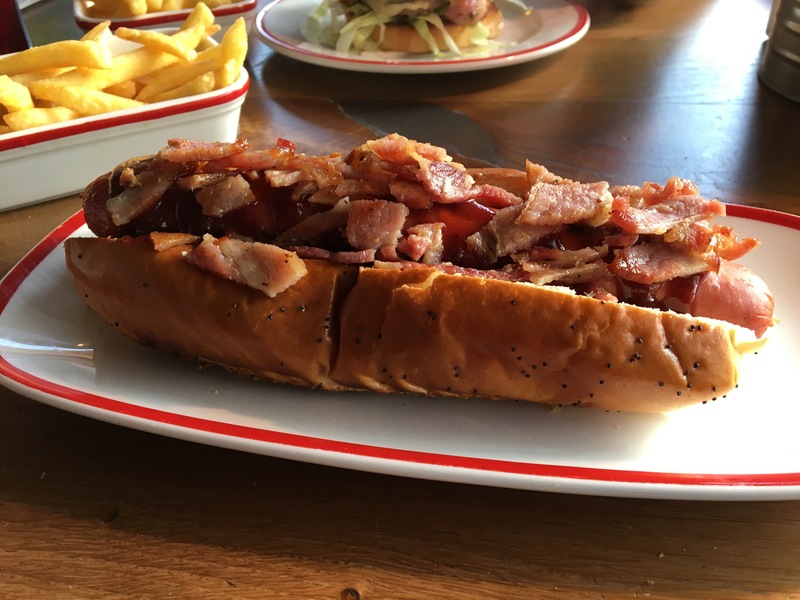 Mains: 2x bacon and cheese burgers, BBQ dog. Cost £10 each, so £30 in total. I have to say, the food was fine, with the starters being a reasonable size and I felt quite full afterwards (something I do not feel at every restaurant). Only negative was the service — the waitress who checked our online reservation and showed us to our table barely spoke to us. And that was before she knew we were on the cheapie set menu. Both my wife and I used the adjective ‘surly’. I suspect Friendly Phil may have to perform some extra training here. I counted six or seven staff working, three on service and three or four in the kitchen. The two other service staff were fine. Would we go again? Probably not with the same limited set menu. 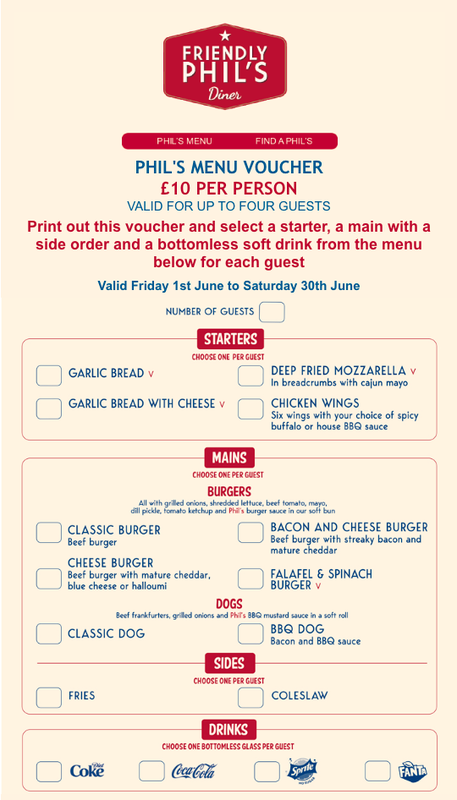 But if there was a similar offer for different dishes, quite possibly. Notably, this restaurant was sandwiched between a Bella Italia (about as busy), and a Frankie & Benny’s (busier I think, with balloons available for children). Nandos, about 50 metres away, was packed and had a queue outside when we left at c7:45pm. Clearly Nandos offers something the other nearby chains do not. This statement is not a complete disaster. Recent trading does not seem too awful, proceeds could be raised from a leasehold sale, and extra cash is being raised (albeit at 6p per share). Richoux Group plc, the owner and operator of 18 restaurants under the Richoux, Villagio, Friendly Phil’s, Zintino and The Broadwick brands, today provides a trading update for the 26-week period ended 1 July 2018, and announces that the Group intends to publish its interim results on 28 September 2018. 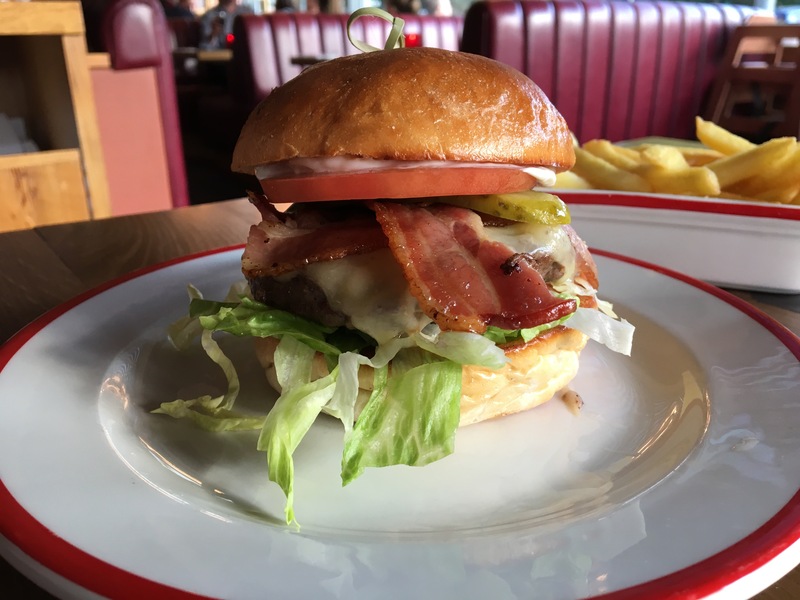 In line with the Group’s guidance at the time of the final results in May 2018 and a number of other companies in the sector, the Group has seen continued pressure on trading during the period, with further impact from temporary restaurant closures due to conversion or refurbishment. The Group expects revenues for the period to be in line with the prior year, with a reduction in the level of losses. The cash balances as at period end were approximately £0.9 million. In view of these continued headwinds, the Group has remained focused on cost reduction and, where necessary, refinement of both its brand and property portfolio. The Group is currently in advanced negotiations regarding a potential lease sale for one of the Group’s restaurant locations in Central London. While there can be no certainty at this stage that the sale will proceed, nor as to the final terms, it is expected that the sale would generate net proceeds of approximately £1.35 million. The Group will update shareholders in due course, as appropriate. In view of the Group’s current cash position, as highlighted earlier in the year, the Group intends to raise approximately £1.1 million by way of a subscription (the “Subscription”) at a price of 6 pence per ordinary share. A further announcement in respect of the Subscription is expected to be released later today. I think revenue matching that of last year is a decent performance given the restaurant sector’s wider woes. A “reduction in losses” sounds promising — H1 2017 saw a £1.1m operating loss. My sums suggest the cash balance reduced by £0.84m during H1 2018, so perhaps the accounting loss is close to that figure. Only one unit was opened during H1 2018, to take the group’s estate total to 18. The sale of the London leasehold is encouraging. I understand RIC’s Richoux chain will not be developed further as the ‘refined cafe’ format can’t really produce the lunch- and evening-trade revenue to justify the rent. At least we now know what price the Kaye family and other directors believe could be a good price to back the share — 6p. Raising £1.1m does not sound much though. I guess the insiders will wait to see if the group can become cash-flow neutral before injecting more money.